I checked my blog out and have been nominated by Kristine Wynne from tales of teeni, for an award! 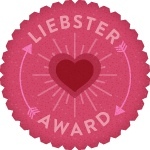 This little award is all about discovering new blogs and helping those with less than 200 followers. It's a great opportunity for all of us new bloggers to be recognised and it also allows me to do my first tag! 2. They must also answer the 11 questions the ' tagger ' has set for them. 2. I was born in Italy. 3. I am a new mummy! 4. I have always been a lover of beauty products, vintage fashion and interiors. 5. I love my family and friends, they make me who I am today. 6. My idol is my mama. 7. I am obsessed with food!! I love to cook and bake yummy cakes! 8. I achieved my dream-swimming with dolphins. 9. I would love to visit Asia and South America. 10. I want to save all the sad children in the world. 11. My favourite fashion purchase is my leather studded jacket from ASOS. The questions from Tales Of Teeni. My questions for the bloggers!!! 1. When did you fall in love with makeup? From the moment I watched my gorgeous mama putting her makeup on. My mama discovered blogs, whilst we gazed lovingly at blogs I started to be inspired. 4. What is your dream profession? I am in a job I love, but would want to make more of a difference to childrens lives. IO would love to be able to be a mummy full time, and hope blogging helps me achieve that? we will see. 5. What is your favorite "me time" ritual? Vintage shopping with my mama. Married with more children and hopefully a successful blogger. 7. Favorite luxury makeup brand? 8. Favorite place to buy clothes? 9. What makes you the happiest? ooh have so many! Rachel Ashwell Shabby Chic. 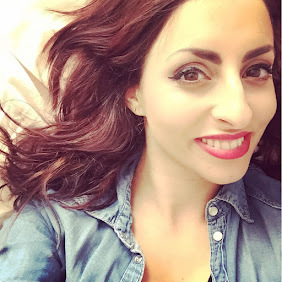 My questions for my lovely bloggers! 1. What is your desert island product? 2. What 5 products are on your wish list? 3. What is your favourite cuisine? 4. What do you want to achieve in the next 5 years? 6. Where is your ideal destination for a holiday? 8. Whos look do you love in the celeb world? Now who shall I be tagging? Check these fab blogs out! !